Authors: Marja Laurikainen & Irma Kunnari. Rapid changes in the world of work due to globalization and digitalization have transformed higher education and students’ lifelong learning, career management skills and digital competences have become more important. These skills and competences need to be strengthened in authentic settings by engaging students and making their evidence of competences transparent with ePortfolios. In this paper, the authors describe and summarize research done in five European countries and six higher education institutions on three different perspectives (student, employer, teacher) on ePortfolios. The results show that the benefits of ePortfolios need to be made clear for students and the use of ePortfolios needs to be embedded into curriculum to make it systematic and meaningful, not just some extra work. This requires new kind of collaboration between teachers but also students need to take ownership of their learning process and involve other stakeholders to their assessment, i.e. peers, representatives from the world of work. Nonetheless, from the employer interviews it is evident that ePortfolios, if done properly and with thought, can make competences and skills more visible and thus, create better matches in the recruitment processes. The critical points of the quality of learning in competence-based education are the assessment and guidance practices. However, if competence assessment is done by using traditional methods in individual basis and within the school environment, it fails to both motivate the students and to create constructive alignment of the desired competences (Biggs & Tang 2007). In addition, the assessment practices should support the development of competence-based education (Koenen, Dochy, & Berghmans 2015) as well as the 21st century skills (Voogt et al. 2013), which are crucial in the rapidly changing world of work. The globalization and digitalization have transformed studying and working environments, and students’ lifelong learning, career management skills and digital competences need to be strengthened by engaging students to be more involved in their own learning and assessment processes in higher education. Inspiring assessment and guidance practices, like peer assessment, collaborative digital assessment, and creating evidence of competences in real life settings are still not comprehensively used in higher education (e.g. Medland 2016). Further, the use of multimodal assessments seems to be limited (Connor 2012). Creativity and innovation are needed to under-stand what the evidence of competences is in real life settings and how students can document and make their skills transparent with digital tools. The need to have a digital professional profile has been recognized, but it is evident that there is still a lack of guidance and skills to create that, both from the students’ and teachers’ point of view. Digital portfolios have a dual meaning – they can be used as a workspace for learning and reflection process making it more transparent and inspiring, and as a showcase being the inventory of all evidence/artifacts of skills and competences (Barrett 2010). With ePortfolios, assessment is not just assessment of learning or assessment for learning, but also assessment as learning. Thus, ePortfolios are used in self and peer assessing, giving feedback, co-creating evidence of competences in shared platforms and utilizing different digital applications. This is likely to increase the students’ feeling of competence, relatedness and autonomy, which are fundamental for creating motivation and wellbeing in learning (Kunnari & Lipponen 2010; Ryan & Deci 2000). In addition, ePortfolio as a story and positive digital identity development (branding) enables students’ choice and personalization, further helping them to find their voice and passions (Friedman 2006). In this paper, the authors analyze all the data and outcomes collected from one case study (Yin 2009) in “Empowering Eportfolio Process (EEP)” research and development project funded by the European Union, where five European countries (FI, DK, BE, PT, IE) and altogether six higher education institutes (HEIs) participated. Based on the research done in the project, this paper aims to establish a common understanding of ePortfolios and find out what the key elements and challenges in the process of using ePortfolios in higher education are. Not only that, but also how to develop the use of ePortfolios to empower and motivate students in their own learning process and how to improve their employability, and skills related to that. Thus, in this case ePortfolios and the learning and assessment processes related to them are investigated from three different perspectives (student, employer, teacher/educational institution) in order to find elements to empower and engage students. This definition highlights the dynamic nature of ePortfolios and students’ ownership, but also how connected the creation of them is to other stakeholders. To develop the use of ePortfolios it was needed to hear all the voices, students’ and teachers’, but also to study and raise the awareness in the world of work. In the current labor market, finding open positions and jobs as well as the recruitment processes are evolving through digitalization. Social networking and online presence help to connect with potential employers, and companies are increasingly following potential employees’ online presence. Indeed, there are less traditional résumés, virtual ePortfolios or résumés are easy to build (technically) and manage because one can access them from anywhere and anytime (Forbes 2011). The aims of the research of three perspectives on ePortfolio are described below. The methodological approaches in all three are presented in the chapter Methodology. The aim of the research done on students’ ePortfolio process was to investigate the assessment and guidance processes as well as ePortfolio environments and tools available in participating countries. In addition, the career learning and motivating or engaging aspects of the process were investigated. Ultimately, the research aimed to give an understanding on how students’ competences versus assessment practices are constructively aligned in order to create empowerment for students and what kind of tools can support this the most efficient way. The research on employers’ perspective aimed to reveal how students’ competences and the needs of the world of work meet. In addition, it aimed to find out what kind of digital portfolios the representatives of various organizations want to see when they are recruiting a new employee and the specific things they assess from the (digital) portfolio. Educational institutions are only starting to understand the meaning of ePortfolios or online presence. Thus, educational processes do not yet fully support the building of the skills and competences needed for this new kind of job hunting. The research on employers’ expectations on digital portfolios was made to improve the ePortfolio process within educational institutions as well as to raise the awareness of employers of the benefits of ePortfolios. The third and final research aimed to investigate teachers’ guidance processes related to ePortfolios and how ePortfolios are implemented in different participating HEIs. Further, it aimed to describe how ePortfolio processes are integrated into curriculum and how sustainable those processes are, how the assessment processes are organized, and what the structures for good utilization of ePortfolios in the learning infrastructure are. The data for this article was collected from one case study (Yin, 2009) “Empowering Eportfolio Process (EEP)” research and development project where five European countries (FI, DK, BE, PT, IE) and altogether six higher education institutes (HEIs) participated. All of the HEIs are in different stages of implementing ePortfolios and use them in very different contexts. Two of the HEIs represent initial teacher training, one HEI is starting to integrate ePortfolios in the context of health and welfare education. On the other hand, one HEI focuses on the aspects of adult/continuing education, career guidance and recognition of prior learning, and one HEI represents the point of view of an educational development unit, which promotes the quality of academic education and supports continuing education and other forms of lifelong learning. In addition, one HEI represents both professional teacher training and bachelor level education, in this case especially in the fields of business administration and bioeconomy. The research was done by teams of 1‒4 researchers who are experienced in different aspects of educational development (digital, pedagogical and curriculum development) as well as implementation of ePortfolios in higher education. The research was conducted between autumn 2016 and spring 2018 in the participating HEIs. During this time, the research teams communicated and collaborated through digital platforms as well as meetings in events on ePortfolios (seminars) which provided opportunities to discuss the findings and draw up common recommendations. Data was collected in a small-scale field research on three perspectives of the ePortfolio process – from students’, employers’ and teachers’/higher education institutes’ point of view. Firstly, a desk research was made to map the current situation related to national policies, strategies and recommendations, existing practices and models in participating HEIs (and beyond) related to ePortfolios. These were collected into a digital publication “Collection of Engaging Practices in ePortfolio Process” (Kunnari & Laurikainen 2017), which was a starting point for the research on the three perspectives. For all three studies, there was a unified framework for data collection and analyzing. However, the data collection in each country was implemented in a way that served the purposes and specific circumstances of that specific HEI and country the best possible way. Thus, the methods (e.g. surveys, interviews, literature research, and focus groups) and samples vary but still follow the same overall framework. In addition, in all HEIs participating in this research there were internal pilot activities, which fed data collection and analyzing process. Due to different stages and situations in ePortfolio implementation in each country and participating HEI, the samples used to this research vary in size, degree programme, degree cycle and phase of the studies. The average size of the sample was n=19 and mainly from BA level students. The average response percentage was 35. The country specific information is provided in Table 1. (Kunnari, Laurikainen, & Torseke 2017; Korhonen, Ruhalahti, & Torseke 2017; Poulsen & Dimsits 2017; Devaere, Martens & Van den Bergh 2017; Van Eylen, & Deketelaere 2018; Pires, Rodrigues & Pessoa 2018; Choistealbha 2018). For investigating the students’ perspectives on ePortfolios there was a co-designed overall structure of themes and questions that was used in each participating country, however, the methods were applied based on the situation in each country. The common framework included four themes: 1) Students’ experiences and perspectives on ePortfolios, 2) Identification of the personal dimensions that facilitate students’ engagement in the ePortfolio process, 3) General competences and digital competences developed by students in the ePortfolio process (example: European Commission Framework, 2016: e.g. information and data literacy; communication and collaboration; digital content creation; safety and problem solving), and 4) The learning environments and organizational dimensions that support students in the ePortfolio process (engaging contextual conditions). The methods of data collection and analysis as well as the content of the study from each country are introduced in Table 2. The research was implemented in a case study format. Again, there was a common framework and themes to investigate through individual or group thematic interviews with employers, representatives of career services, recruitment companies and other organizations. The themes to discuss were existing recruitment settings, the benefit of ePortfolios in these processes and how employers see their role in supporting the creation of ePortfolios of students, what kind of mutually benefitting collaboration there could be. There were altogether twelve diversified cases from the participating countries: Finland with five case studies, Denmark with one, Belgium with three, Portugal and Ireland with two cases each. The cases came from the field of medical services, education, universities’ alumni and career services, human resources and recruitment services, project coordination offices, creative industries and digital services. The participating HEIs were asked to collect data from their organizations related to teachers’ guidance practices in the ePortfolio process, how they are implemented, is the process integrated into curriculum and how sustainable it is, how the assessment is organized and what the structures for good utilization of ePortfolios in the learning infrastructure are. The research teams in participating HEIs utilized existing materials, discussed them with teachers and others involved in ePortfolio process, and based on these, drew a framework image of their organizational context related to ePortfolios. During a seminar in Belgium in February 2018, the research teams had a wider discussion on the similarities and differences between each HEI’s context, and based on the discussions they further developed their own frameworks. A consensus was reached that it is very challenging to describe one frame that fits all HEIs due to differences in e.g. structures, programmes and digital environments. 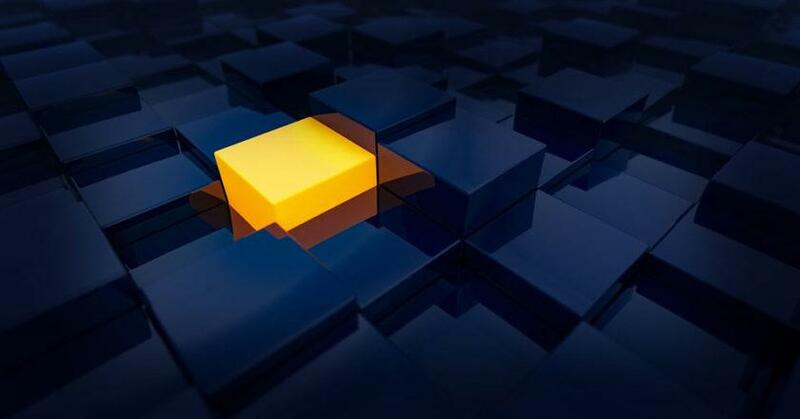 However, each HEI can present their own framework and highlight the good practices in it and thus, there is a collection of good practices that others can utilize depending on their own context. The methods and results from the field research in five countries on three different ePortfolio perspectives (student, teacher, employer) were reported in a structured summary by the participating HEIs. In addition, the preliminary results were presented in poster sessions during three different seminars: in Portugal in March 2017, in Ireland in September 2017 and in Belgium in February 2018. A common qualitative analysis of the findings was made based on both the summaries and the poster sessions. The following three sub-parts describe the findings from each perspective. What is evident from this research is that the use of ePortfolios is still emerging only in these six participating HEIs. There are some good examples in singular courses and study programmes but in general, the understanding of ePortfolios is not sufficient, with both students and teachers. The students had a general positive and engaged attitude towards the use of ePortfolios but the benefits were not completely clear nor the possibilities. They could see how ePortfolios can support their personal and professional development and give transparency to the learning process, which correspond to the previous study related to students’ adaptation to ePortfolios by Lopez-Fernandez (2009). However, this study demonstrated the diversity of students’ experiences related to the use of ePortfolios as well as different conceptions about the process and the tools: not all of them were familiar with the definition of ePortfolio and thus understood it in several different ways. Nonetheless, generally it was seen “as an online student-owned learning space, based on technological and digital tools, that can store and share their reflections, learning outcomes, achievements and evidence of competences, by using non-traditional resources — such as blogs, CV’s, web pages and LinkedIn profiles.” (Kunnari, Laurikainen, Pires & Rodrigues 2017). The findings showed that two types of digital competences are needed in the ePortfolio process: in the creation of ePortfolio (technical) and in compiling the ePortfolio (editing). In addition, in order to create content for the ePortfolio, students need transferable skills (e.g. reflection, collaboration, communication, organization and visualization). The study also revealed that students perceive their digital competences from intermediate to high level; however, even though they may be competent in using digital tools and apps in their leisure time and socializing purposes, they may not be aware of digital solutions in the learning context. This means that before starting to use ePortfolios, they need preparation and support in their digital skills. 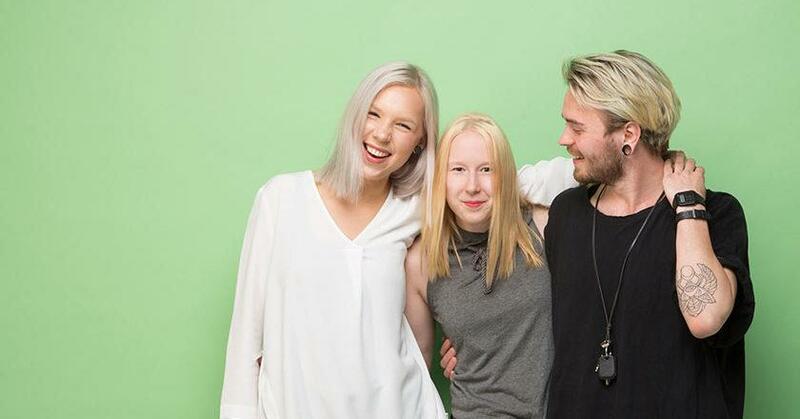 (Kunnari, Laurikainen & Torseke 2017). Another issue students emphasized is that ePortfolio creation and development need to be integrated into curriculum throughout the studies, i.e. there needs to be time allocated for this as well as other resources such as teachers’ guidance. Eportfolio should be in the core of the learning process in collaboration with peers, employers and other stakeholders. In participating HEIs’ contexts, ePortfolios are mainly used as a learning space during the studies where students collect evidence of their skills and competences and utilize self- and peer-assessment to reflect their own learning. In many cases, the connection to life after graduation, i.e. when seeking for an employment and/or further studies, was lacking or not very evident. This corresponds to a more general challenge in Europe, which the European Union has recognized in its modernization agendas i.e. the models and intensity of cooperation between universities and businesses are scattered (European Union 2018). Nonetheless, ePortfolios can increase the potential for matching successfully the skilled future employees with the companies that are recruiting. What is it then that the employers value in ePortfolios? The findings illustrated in Figure 1. are summarized in three main points: 1) concise and formulated personal evidence of competences, 2) selection of evidence or materials, and 3) person behind the CV. Figure 1. Summarized findings from the employers’ interviews. The employers emphasized that ePortfolios need to be well structured and all the main information should be available in an understandable format with a quick look. They also highlighted that if they want to go deeper into something very specific, they should be able to find more details behind links. Thus, the structure and navigation should be carefully thought in order to make it simple and logical but having different layers of information. Another important issue the employers pointed out is that some crucial information e.g. work experience should be opened up in more detail to the reader. It means that instead of using just titles (place, position), one should explain more what the specific roles and tasks were, in what kind of networks one operated, etc. This leads to the next point, which is selection. The employers accentuated that the content of ePortfolio should match the specific position or work profile, i.e. one should select from all the materials the ones that are relevant evidence of competences for a specific work position they are applying. In addition, it is beneficial to think about what kind of other material can support this specific application process – perhaps something from the leisure time activities e.g. voluntary work or maybe evidence of personal characteristics. 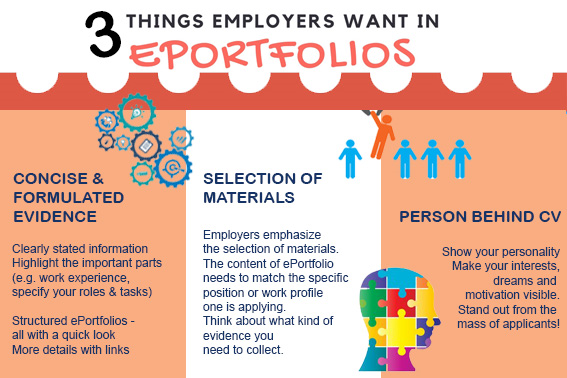 In any case, the materials one selects should highlight the person behind the ePortfolio, which leads to the third point the employers pointed out. Employers receive amounts of applications from equally educated and qualified people. This means that one needs to stand out from the mass and this can be done with cleverly planned and visually implemented ePortfolio where all the relevant information is available and also other supportive evidence to demonstrate e.g. transferable skills that are increasingly important for employability but in a much more flexible and visual way than mere CV. As has been stated before, the findings of the analysis on teachers’ processes reveal that ePortfolio as a learning space exists, although not systematically, but the second phase i.e. showcase ePortfolio is still rather challenging for many universities (see figure 2.). As the whole connection with the world of work, also the showcase ePortfolio process needs to be developed and requires new kind of thinking from the teachers and the educational organizations in how they understand their role in the surrounding society. In addition, students need to see the benefit of ePortfolios from the lifelong learning perspective, i.e. how they can utilize their ePortfolio after graduation as a tool to find their first employment and later on to build their professional identity and career aspirations. Figure 2. Simple illustration of an ePortfolio process in higher education institution. The foundation for a successful use of ePortfolios as an essential part of learning processes is that it is embedded to curriculum. This means that ePortfolio process is in the structures and there is allocated time and resources to develop it. However, in order to establish the use of ePortfolio systematically in the entire programme (and organizational) level and throughout the studies requires that teachers collaborate with each other and plan the ePortfolio process together. Thus, at first teachers (or at least most of them) need to see the benefit of ePortfolios. Further, teachers need to realize how ePortfolios can support student-centered and competence-based education, continuous guidance and assessment processes and how students themselves should take the role in these processes and ownership of their own learning. As in student-centered education in general, the role of a teacher shifts more towards a facilitator of learning and building of competences; this is the case with ePortfolios as well. Students need to have the ownership of their ePortfolios and freedom to build them the best way for their own purposes and goals. 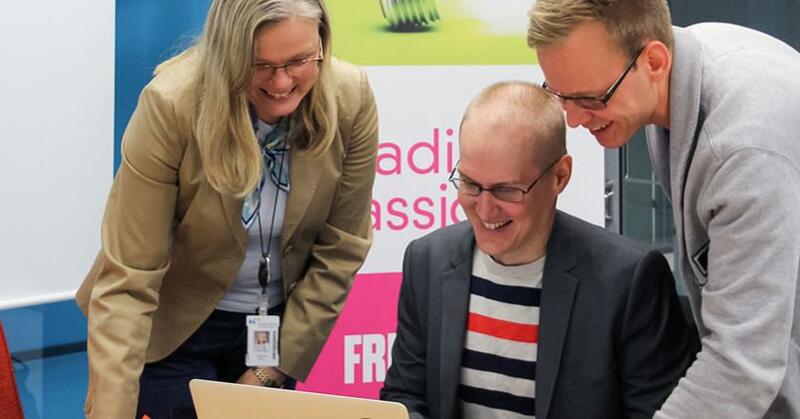 First, teachers need to justify the benefits and purpose of ePortfolios to students and then give them space for creativity in demonstrating the competences, collaborating with their peers and others as well as networking with the world of work. However, sometimes the structures of HEIs do not support the building of students’ ownership. 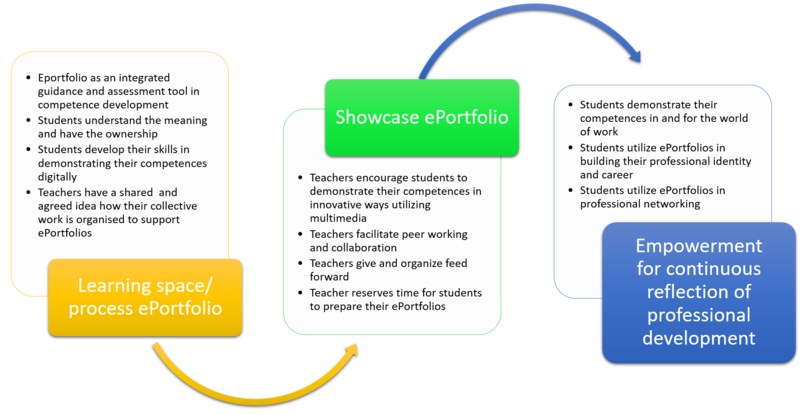 In the creation of the showcase ePortfolio, the role of a teacher is crucial, as students do not always have a clear view of how to demonstrate their strengths – if they can first even identify them. In addition, sometimes students do not have a full understanding of the world of work and its requirements. Teachers need to encourage students to be innovative with feedforward and support the peer cooperation between students so that they can benefit from other points of view and further develop their own ideas and evidence of competences. (Kunnari, Laurikainen, Pires & Rodrigues 2017). Teachers need to understand how ePortfolios can support students’ employability by making their skills and competences visible and transparent. Teachers need to highlight the lifelong learning perspective of ePortfolio and students need to understand how ePortfolio serves them in different situations in their lives. If they find the process meaningful and they are empowered and engaged during the ePortfolio process, this should happen automatically. Teachers need to support the ownership of students in the ePortfolio process and give space for students’ creativity, collaboration with their peers and networking with world of work. In addition, certain transferable skills are needed and developed during the ePortfolio process (e.g. reflection, collaboration, communication, organization and visualization). Selecting the evidence is probably the most difficult part in building up the ePortfolio. Perhaps one should have a “meta ePortfolio” with many kinds of information and select the most suitable evidence to a showcase ePortfolio that suits the specific situation or purpose. Even though this research was done in higher education context, these recommendations can be transferred to any level of education (with perhaps some adjustments in lower levels). The future generation, the digital natives are used to operating in digital environments from their first years of education and digital appearance is a norm to them. In addition, the digitalization of the world of work, and the whole society, requires new kind of digital management and presentation of competences and personal identity. It is easy to foresee that ePortfolio will be a common tool to be used in education (and beyond) in the future where the presence in digital networks and social media and digital branding is probably a skill one needs to learn very early on in life. Biggs, J. & Tang, C. (2011). Teaching for quality learning at university. 4th Edition. The Society for research into higher education & open university press. Cejudo, M. (2012). Assessing Personal Learning Environments (PLEs). An Expert Evaluation. New Approaches in Educational Research, 2(1), 39–44. Connor, S. (2012) Using frames and making claims: the use of multimodal assessments and the student as producer agenda, Enhancing Learning in the Social Sciences, 4:3, 1-8. Fiedler, S. (2013). Emancipating and Developing Learning Activity: Systemic Intervention and Re-Instrumentation in Higher Education. Academic dissertation. 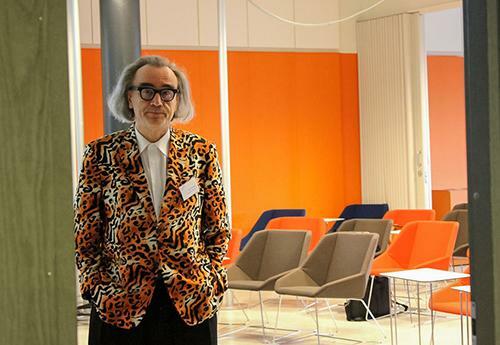 University of Turku, Centre for Learning Research. Turku: Painosalama. Forbes (2011). http://blogs.forbes.com/danschawbel/2011/02/21/5-reasons-why-your-online-presence-will-replace-your-resume-in-10-years, accessed on 15 March 2018. Friedman, T. (2006). The World is Flat: a Brief History of the 21st Century. Farrar, Straus and Giroux. Kunnari, I. & Lipponen, L. (2010). Building teacher-student relationship for wellbeing. Lifelong Learning in Europe. 2, 2010. López-Fernández, O. (2009). Investigating university students’ adaptation to digital learner course portfolio. Computers & Education, 52(3), 608–616. Medland, E. (2016). Assessment in higher education: drivers, barriers and directions for change in the UK. Assessment & Evaluation in Higher Education, 41(1), 81-96. Ryan, R.M. & Deci, E.L. (2000). Self-determination theory and the facilitation of intrinsic motivation, social development, and well-being. American Psychologist, 55, pp. 68-78. Vuojärvi, H. (2013). Conceptualising Personal and Mobile Learning Environments in Higher Education. Academic dissertation. University of Lapland. Rovaniemi: Lapland University Press. Yin, R.K. (2009). Case Study Research. Design and Methods, (4th ed.). Applied Social Research Methods Series, vol. 5. USA: Sage Publications. Authors: Joy de Vries, Simon Tweddell & Rebecca McCarter. Findings in educational research identified collaboration as an effective social process of knowledge building that requires students working as interdependent teams towards a clear objective resulting in a well-defined final product, consensus, or decision (Wright et al., 2013). The educational practice of our MPharm programme however, still relied heavily on information transmission or content delivery to learners. As practitioners we were challenged to redesign activities requiring collaborative decision making within authentic scenarios. This study helped us to research how TBL would be received by our students and if redesign of the curriculum would ensure learner engagement and accountability. In TBL students work in permanent teams of 5‒7 members.They are given advanced assignments to complete before class. The Readiness Assurance Process consists of an individual assessment followed by a team assessment, to incentivise preparation and attendance and, along with peer evaluation, to develop team accountability. Both assessments are summative. Afterwards instructors give targeted feedback based on these test results. The majority of time in class is spent on application activities designed to develop problem-solving, collaborative decision-making, and promote learning through elaboration, discussion and debate. Figure 1 represents a typical teaching pattern of a TBL module. Figure 1. Typical teaching pattern in a TBL module. Earlier research shows that in TBL students learn how to work collaboratively in teams solving authentic problems and as a result, they report a high level of engagement in TBL modules (Levine et al., 2004; Chung et al., 2009). If and how the introduction to TBL affects student’s lifeworld however, remains unknown. According to Ashworth the lifeworld is a central concept within phenomenological psychology and seen as an essential structure which is fundamental to all human experience (Ashworth, 2003). The seven contingencies are used to describe the lifeworld as explained in table 1. Table 1. The lifeworld contingencies as explained by Ashworth. Selfhood What does the situation mean for the social identity; the person’s sense of agency and the feeling of their own presence and voice? Sociality How does the situation affect the relation with others? Embodiment How does the situation relate to feelings about their own bodies, including gender, emotions and disabilities? Temporality How is their sense of time, duration and biography affected? Spatiality How is their picture of geography of the places they need to go to and act within affected by the situation? Project How does the situation relate to their ability to carry out the tasks they are committed to and which they regards as essential to their life? Discourse What sort of terms, educational, social, commercial, ethical etc. are deployed to describe- and thence to live- the situation? How do students’ lived experiences of Team-Based Learning when introduced to it for the first time, affect the contingencies of their lifeworld. The methodological orientation is towards phenomenology in which philosophical principles are used to study the way a phenomenon appears to our consciousness. Any experience or event that presents itself to our consciousness can be studied by phenomenology because it does not matter whether the phenomenon is real, imagined, empirically measurable or subjectively felt. If we are aware of it, it is part of our consciousness and therefore part of our world (van Manen, 2014). Phenomena are always someone’s lived experiences, hence data are considered subjective and personal (van Manen, 2014). 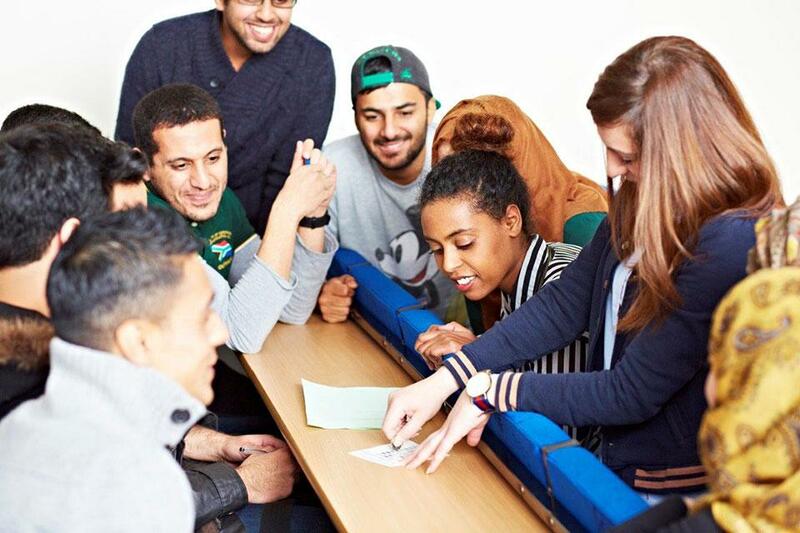 The pilot involved final year students taking one module of the undergraduate MPharm programme. Student teams were provided with authentic patient case-based application exercises and asked to make a collaborative decision to justify this to other teams. Facilitators drew out discussion, facilitated debate, and optimised deep approaches to learning. 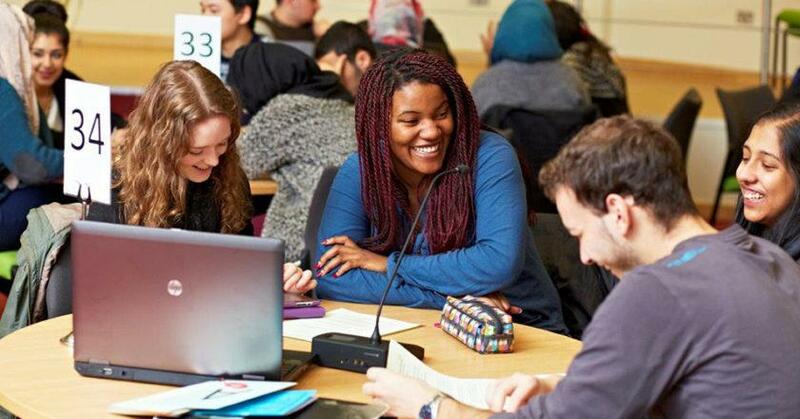 Following ethical approval, five students in their early twenties (3 male, 2 female) from a cohort of 88 volunteered to take part in an interview or focus group, designed to elicit the lived experiences of students who were introduced to TBL for the first time. In this study a convenience sample was used; the entire cohort was invited to participate and five participants volunteered to take part in the study. The five students were from different teams. Students were given the choice of which data collection method they preferred. Two students elected for individual interview and three for focus group using identical semi-structured questions. Data were transcribed verbatim and subjected to interpretative analysis. Students were given a participants’ number to ensure anonymity and results were only used once for research purposes. Team members listed their own biases prior to data analysis and researchers first individually coded the data on a line-by-line basis using the life world contingencies as a template. Open codes were discussed and the coding structure was compared against transcripts and existing literature, until a deeper understanding was reached. Ashworth’s lifeworld contingencies provided the theoretical framework for analysis (Ashworth, 2003). Data analysis revealed two main themes: engagement and accountability. Subthemes related to contingencies in students’ lifeworld (see table 2). Students spoke about all seven life world contingencies when exposed to TBL for the first time. As a team students seemed to be engaged and committed to carry out tasks (project). They felt that contributing to the team effort in an engaging way helped their learning (selfhood). Students believed that they benefited from collaborative discussions and felt teamwork enhanced their collaborative skills (sociality). Students held strong opinions on those who were not engaged and did not contribute (discourse). Students also believed that they benefited from being held accountable indicating a shift in their motivation from not being motivated to prepare for classes, to wanting to be prepared prior to attending class (selfhood, embodiment). Suggestions for improvement were related to application sessions during which they believed time could be managed better (temporality). Students indicated that the reduction of the number of people during those sessions would be an improvement (spatiality, embodiment) and help their learning within the given setting. Table 2. Students’ quotes organised by Ashworth’s lifeworld contingencies (focus group P1, P2 & P3, interviews P4& P5). The students’ lived experience suggests that TBL was well received and seems to affect their lifeworld in a positive way. This new way of teaching seemed to enhance students’ engagement and accountability and as a result positively affected their selfhood and relationships with others. Students felt motivated to come to class prepared and experienced the value of learning how to work in teams, listening to others, and contributing to a team effort. TBL takes a constructivist approach and seems to have great potential as an active learning and teaching strategy in higher education. Ashworth, P. (2003). An approach to phenomenological psychology: the contingencies of the lifeworld. Journal of Phenomenological Psychology, 34(2), pp 145-157. Biggs, J. B. & Tang, K. (2011). Teaching for Quality Learning at University, What the student does. 4th ed. McGraw-Hill Education (UK). Currey, J., Eustace, P., Oldland, E., Glanville, D. & Story, I. (2015). Developing professional attributes in critical care nurses using Team-Based Learning. Nurse education in practice, 15(3), 232-238. Heidegger M. (1927). Being and Time. Oxford: Blackwell. Kaufman, D. M. (2003). Applying educational theory in practice. British Medical Journal (Clinical research ed.). Houston, TX: Gulf Publishing Company, 326(7382), pp. 213–216. Manen van M. (2014). Phenomenology of Practice. Meaning-Giving Methods in Phenomenological Research and Writing. Walnut Creek: Left Coast Press Inc. Moon, J (2004) A Handbook of Reflective and Experiential Learning, London, Routledge Falmer. Wright, K. B., Kandel-Cisco, B., Hodges, T. S., Metoyer, S., Boriack, A. W., Franco-Fuenmayor, S. E., Stillisano, J. R. & Waxman, H. C. (2013, December). Developing and assessing students’ collaboration in the IB programme. College Station, TX: Education Research Center at Texas A&M University. Submitted to the International Baccalaureate Organization (IBO).